Players at top of area receive and then strike on goal with 2nd touch. Each activity can/should be done for 10 mins with each foot (change side of delivery). Keep score and compete. 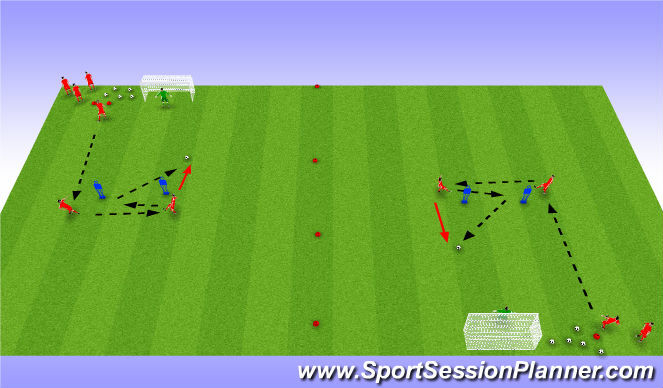 Players at top of area combine to play through and forward strikes a moving ball 1st time. Players at top of area combine for a 1 touch strike on target, with other forward following up for a rebound.